Impatient bakers love a good quick bread – the no-yeast, no-hassle loaf that teeters between bread and dessert. Typically a touch sweet, with a crumb more cakelike than its yeast-risen cousins, quick bread is an easy solution for bakers who don’t feel like waiting. This version is a variation on the master recipe for Fruit (or Vegetable)-and-Nut Bread from Mark Bittman's How to Cook Everything. 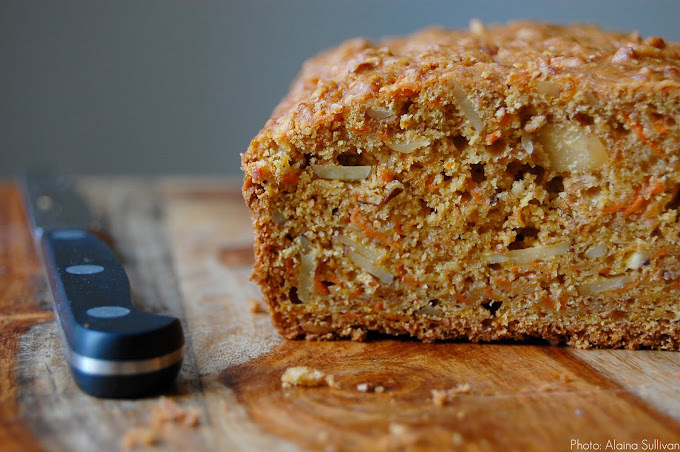 Of the endless possibilities (think Banana-Walnut, Cranberry-Pecan, Zucchini-Sunflower, Pumpkin Ginger with Hazelnuts…) the one that struck me was a Brown Sugar Carrot Bread with Almonds. 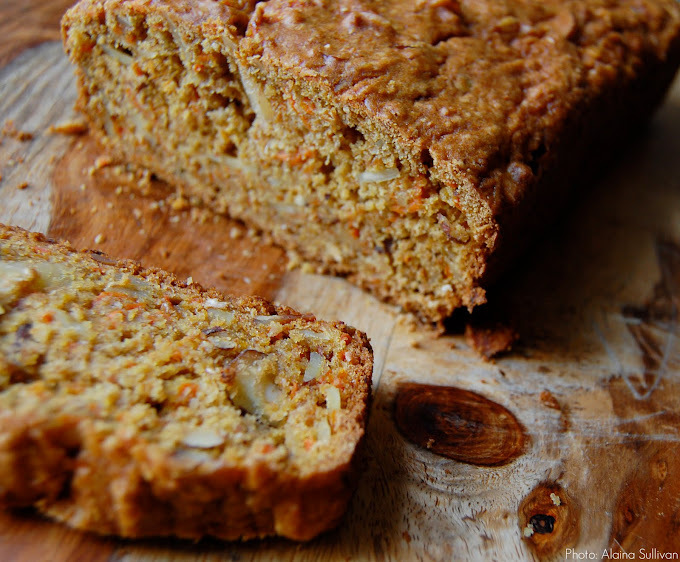 The shredded carrots ensure moisture, while the slivered almonds lend a consistent crunch. A combination of grains (all-purpose flour, whole-wheat flour and wheat bran) yields a denser, heartier loaf, and brown sugar brings the right touch of molasses sweetness, while orange zest brightens the whole thing. 1. Heat the oven to 350d F. Grease a 9 x 5-inch loaf pan with butter. 3. Beat together the milk, zest and egg. Pour into the dry ingredients, mixing just enough to moisten; do not beat and do not mix until the batter is smooth. Fold in the fruit and the nuts, then pour and spoon the batter into the loaf pan. Bake for about an hour, or until the bread is golden brown and a toothpick inserted into the center comes out clean. Cool on a rack for 15 minutes before removing.